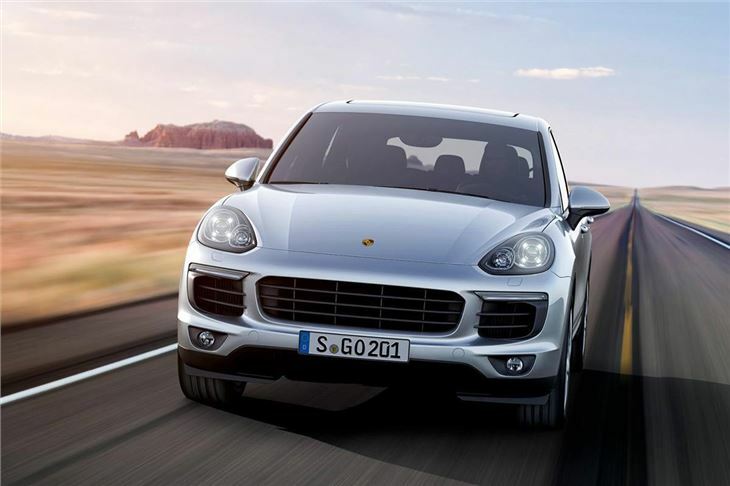 Porsche has announced details of its revised Cayenne, which is available to order now ahead of its arrival in showrooms from October. Prices for the updated model start at £49,902 for the Diesel and rise to £93,763 for the range-topping Turbo. Cosmetic changes are fairly minor, with a restyled bonnet and wheel arches the largest changes at the front, along with redesigned light clusters. At the rear there are new tail lights and a smoother tailgate design, along with a different tail pipe design. The majority of the changes are under the bonnet - the engine range has been tweaked, with greater power outputs and better fuel economy across the board. The entry level engine is a V6 diesel with 262PS. It produces an impressive 580Nm of torque and has official fuel economy of up to 42.8mpg, with emissions of 173g/km. 0-62mph takes 7.3 seconds and top speed is 137mph. 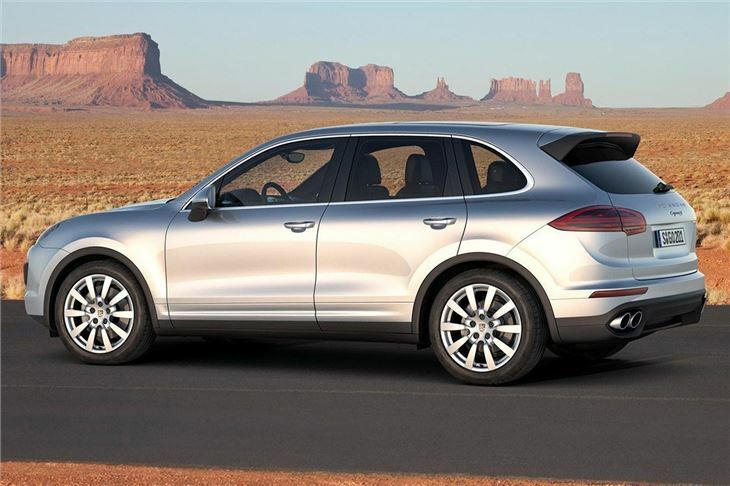 Those who want more pace from a diesel engine can choose the Cayenne S Diesel, which is powered by a 4.2-litre V8 with 385PS. Peak torque is a huge 850Nm from 2000-2750rpm, which makes for swift acceleration. 0-62mph takes 5.4 seconds and top speed is 156mph. Emissions for the V8 diesel are 209g/km and official economy is 35.3mpg. 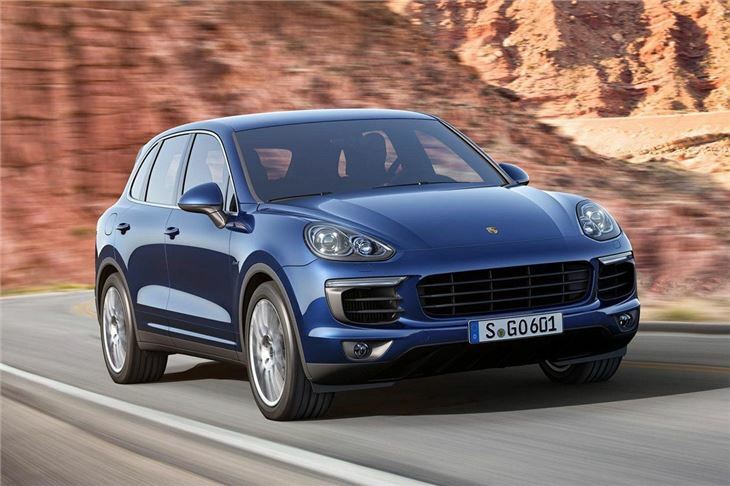 The petrol range kicks off with a 3.6-litre V6 bi-turbo, a new engine for the Cayenne. This replaces the old V8 and offers an economy improvement – consumption is down 2mpg to 29.7mpg, which equates to emissions of 223g/km. Despite the economy improvement there’s 20PS more power, peaking at 420PS. Peak torque is 550Nm. The V6 bi-turbo can get from 0-62mph in 5.5 seconds and top speed is 161mph. Perhaps the most impressive improvements are to the hybrid version, which is now a plug-in and can be charged from the mains. 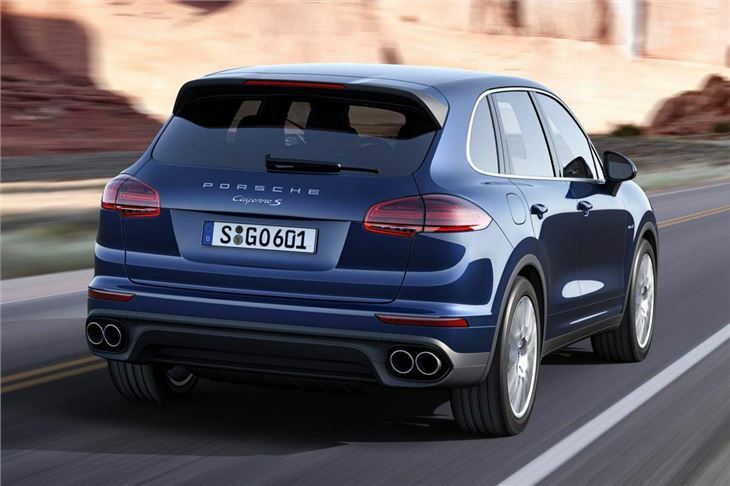 The Cayenne S E-Hybrid has a larger battery than the old Hybrid and consequently can travel up to 22 miles on electric power alone at speeds up to 77mph. The hybrid use a supercharged 3.0-litre V6 petrol and, paired with the electric motor, peak power is 416PS, with 560Nm of torque. 0-62mph takes 5.9 seconds and top speed is 151mph, yet official economy is 83mpg and emissions are 79g/km. Granted that’s unlikely to be replicable in real-world driving but it does mean free annual VED. Importantly the price of the S E-Hybrid is the same as the S Diesel, at £61,474. The range-topping 4.8-litre V8 Turbo gets 520PS and peak torque of 750Nm from 2250rpm to 4000rpm. It’s the quickest performer in the range, with 0-62mph taken care of in 4.5 seconds and a top speed of 173mph. It’s also the least frugal variant, with official economy of 22.5mpg and emissions of 261g/km. Standard equipment includes all-wheel drive, bi-xenon headlights, a new multi-function steering wheel, ParkAssist, cruise control, climate control, power tailgate, Sport mode button and start/stop with coasting system. 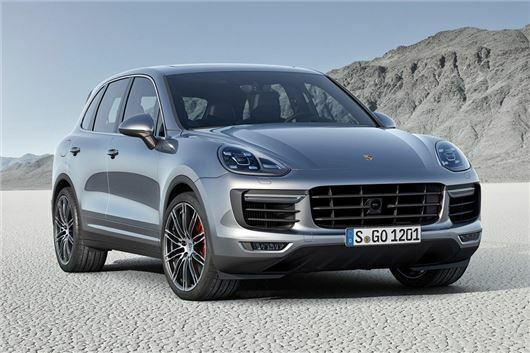 Top Turbo models gain Porsche Dynamic Lighting, 19-inch alloy wheels, sat-nav, BOSE audio and self-levelling air suspension.